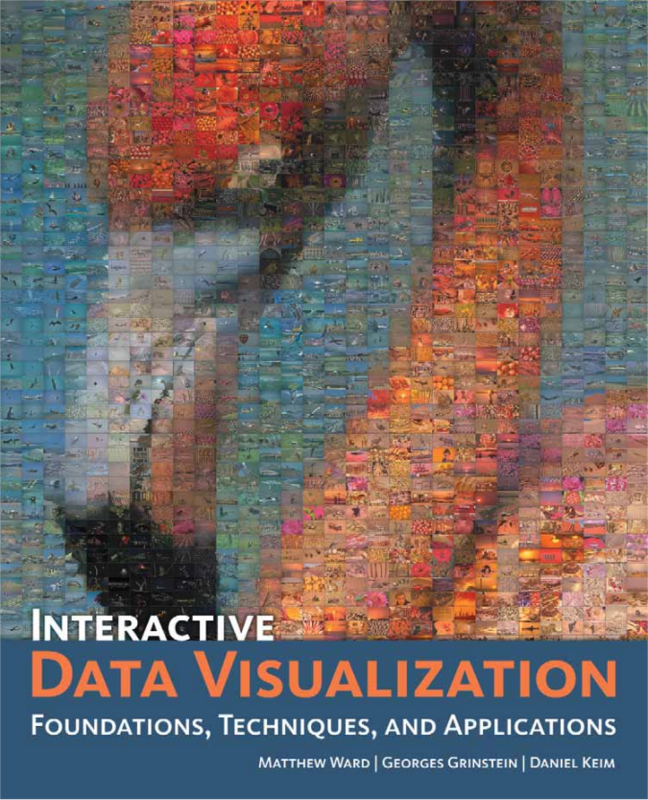 Our goal in writing this book is to provide readers and students with the theory, details, and tools necessary to be able to build visualizations and systems involving the visualization of data. There are a number of books that provide visualization taxonomies with numerous examples, but none that look at the algorithmic and software engineering issues in building such visualizations and systems, and none that discuss visualization theory. Furthermore, this book covers the spectrum of data visualizations, including mathematical and statistical graphs, cartography for displaying geographic information, two- and three-dimensional scientific displays, and general information visualization techniques. We believe that it is not enough to provide detailed descriptions of each visualization or of the key techniques. We discuss implementation and language issues, performance demands and limitations, and application requirements and results. We also describe how visualizations are used in knowledge discovery and problem solving, as well as how to evaluate different visualizations. We also discuss the various roles visualization plays in larger application frameworks, such as those in knowledge discovery and visual analytics. This will provide a view into the various visualization interfaces that can be delivered and will help explain the design process.